Beijing is a city with over 2000 years’ of history, with one of the oldest cultures on Earth. It has been the Chinese capital for over 850 years (Yuan Dynasty, Ming Dynasty & Qing Dynasty). Tour begins at Tiananmen Square, the largest city square in the world. From the square, we will view the Gate of Heaven Peace (Tiananmen) where Chairman Mao Zedong proudly claimed the establishment of the People’s Republic of China on Oct 01, 1949; monument to the People's Heroes, Great Hall of the People, and Mao's Mausoleum. Then it's on to the Forbidden City, now known as the Imperial Palace Museum. 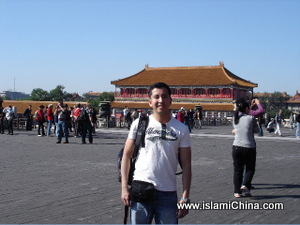 The Forbidden City used to home for 24 Chinese Ming and Qing Dynasty emperors. The last emperor, Puyi lived in the Forbidden City till 1924. After a nice Halal lunch at local restaurant, our final destination is the aptly named Temple Of Heaven, dating from the 15th century. Built in the Ming and Qing dynasties, the Temple Of Heaven was the center of prayer, traditional ceremonies and sacrificial rites. It's a busy day, but will also include a visit to Silk Factory for a shopping experience not to be missed. Return Details: Tour returns to your hotel.